The Star Kingdom's ally Erewhon is growing increasingly restive in the alliance because the new High Ridge regime ignores its needs. Add to that the longstanding problem of a slave labor planet controlled by hostile Mesans in Erewhon's stellar back yard, a problem which High Ridge also ignores. Yet Stephanie is a young woman determined to make discoveries, and the biggest one of all awaits her: an intelligent alien species. The forest-dwelling treecats are small, cute, smart, and have a pronounced taste for celery. And they are also very, very deadly when they or their friends are threatened - as Stephanie discovers when she comes face-to-face with Sphinx's most lethal predator after a hang-gliding accident. But her discoveries are only beginning, for the treecats are also telepathic and able to bond with certain humans, and Stephanie's find - and her first-of-its kind bond with the treecat Climbs Quickly - land both of them in a fresh torrent of danger. Galactic-sized wealth is at stake, and Stephanie and the treecats are squarely in the path of highly placed enemies determined to make sure the planet Sphinx remains entirely in human hands, even if that means the extermination of another thinking species. Unfortunately for those enemies, the treecats have saved Stephanie Harrington's life. She owes them - and Stephanie is a young woman who stands by her friends. Which means things are about to get very interesting on Sphinx. ©2011 Words of Weber, Inc. (P)2011 Audible, Inc.
Wow, Weber hits the target. I love strong female characters, and I've been in and out of the Honor Harrington books for ages. They are good, but I've always been left a bit ho-hum. Something drew me towards this one, as I've always been interested in the back story of the tree-cats joining with the humans outlined in honor harrington, but without exposition. This tale is as powerful and as emotive as, "The Host," by Stephenie Merry. Another story that shook me to my roots. Khristine Hvam doesn't get in the way of the narrative, and just tells the story. As a result, the listener is focused on the drama, not the voice. In my book, that's a perfect reading. Nice Job. I really love this book, I cannot wait till book two is released in late 2012. First Weber novel...WONT be the last!!!! I think it only fair to share the one negative--there are some awkward pauses in the recording (editing I believe) that are long enough that I checked to make sure I had not drained my battery...it is not terrible by any means...that is why the performance received only 4 stars..
An excellent book to read in an afternoon. I'd highly recommend it. I've always enjoyed Weber's novels and he hasn't disappointed me this time. The reader is fabulous. My only complaint is when is the next in this series coming out. A definite read! This story was great. It was fun and fast paced enough to keep my attention. Weber created characters that are about as realistic as possible given the sci-fi universe in which they dwell. They are internally consistent, well developed, and multidimensional. No flawless goody-two-shoes in the Star Kingdom … and that includes the tree cats! Having already read the Honor Harrington books I have wanted to know more about these endearing creatures. A Beautiful Friendship does a great job explaining the beginnings of the human/tree cat relationship. It is possible that someone reading this before any of the Honor series might have some difficulty understanding this universe, but I doubt it. I am glad I read the Honor books first, but I suspect starting with this book would be just as satisfying. All in all, this is a very entertaining book. The narrator was very good. She gave different voices to the characters without the accents being too intrusive. I really liked the way she portrayed the tree cats. I think there might have been a risk of the cats seeming like childish “animals.” However, she managed to avoid that and depict them as very small adults. This is a very good book. Unlike the Safehold series there is almost no action, however even an action fan liek me enjoyed this book. The character development is astounding, even in the treecat's view. 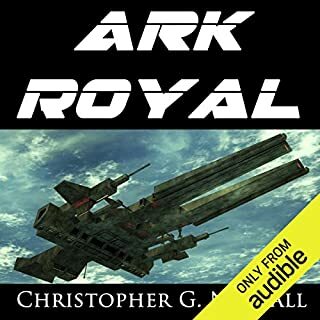 My only issue is that it is relatively shorter than the Safehold series, but I would still put it very high on my top 10 list. 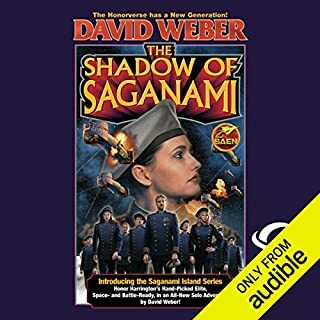 The choice for a narrator is also great, she was also able to pull of the male voices with enough definition that if the next spoken line was also a guy you could tell it was different person. I believe this series will be very close to Safehold in my favorite series list, and that alone is complement enough. If you liked the Honnor Harrington series, you will love this new series. The stars have different names but this is Honor as a teenager when she first met the tree cats. Many of the names are different, but the crossover's are along the same story line. For example: she calls her cat "Stinker". If you haven't herd the Honnor Harrington series I believe most will still enjoy this very much as it is a stand alone series. I am looking forward to and am sure I will purchase the rest of the series as they come out. 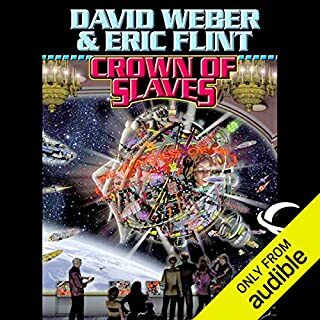 If you are not familiar with David Weber's work or Honnervers, this is a great place to start. I have to warn you, once your hooked you will be hook by the great writing and the wonderful plot lines of Honnervers and the story lines. 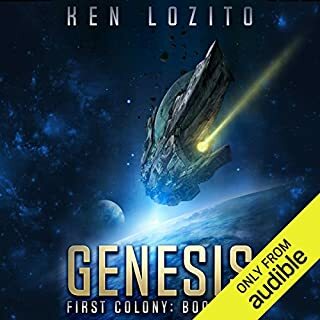 I recently listened to Fuzzy Nation by Scalzi. The subject matter is much the same--first contact with a lovable, sapient species faced with the potential predations of the sleazier elements in humankind. Scalzi managed to overcome my initial, strong resistance to the Ewok syndrome. He was scupulously careful about not violating his own descriptions of the problem of communicating with the new species. His dialogue was witty, entertaining, and believable. And even his villains had a certain amount of human ambiguity built into them. This book, on the other hand, had none of these strengths. Add to that the fact that a great deal of it is devoted to the very predictable and unimaginative preteen angst of a gifted, pristinely "good" 11-14 year old girl, and I was ready for the end long before the end. I have read one of the Honor Harrington books and found it much better than this effort. This book might be great for a preteen girl (though I think either of my daughters would have been nearly as bored as I was), but unless you are adicted to cute or to re-examining the struggles of pre-adolescence, I would advise you to look elsewhere. Obviously I am in a distinct minority here, so you should probably take my opinion with a grain of salt. 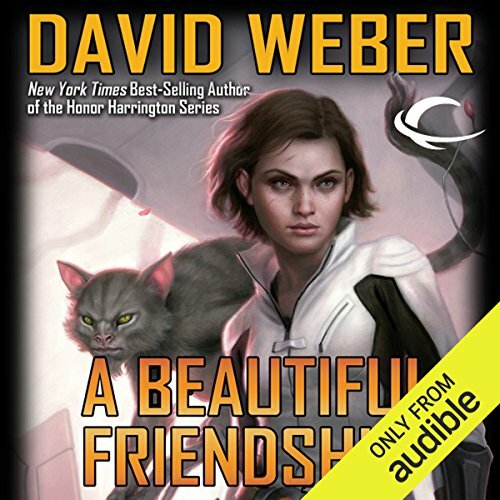 Where does A Beautiful Friendship rank among all the audiobooks you’ve listened to so far? I would say that it ranks on the upper tier of my favorites. What about Khristine Hvam’s performance did you like? She did an impressive job of imitating a young girl. No, not cry, but occasionally it made me laugh or listen intently to a specific part. One interesting thing about audiobooks- there's no stopping them. So when a moving part comes along, you just have to listen carefully. 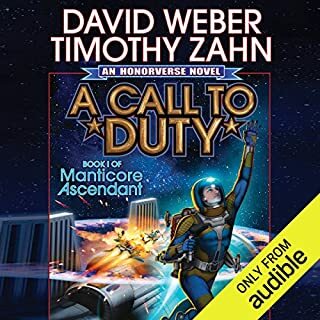 Definitely worth it, since I wanted to get a start in the Honorverse where it all began, and this book fulfilled that. David Webber does it again. Easy to listen to, takes you away to a good place. If you could sum up A Beautiful Friendship in three words, what would they be? I found myself getting angry along with the main character at one point (which since I was out walking at the time meant I got some concerned looks but still. Never mind) when faced with a person who couldn't grasp the diference between pet and an intelligent creature. 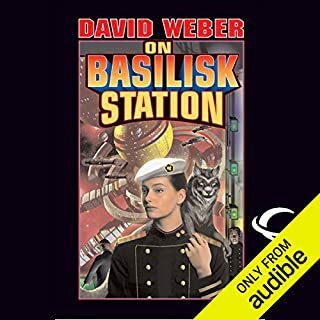 David Weber appears to have a slight fixation on 6 limbed aliens based on reading this and the 4 book saga that starts with March up country (Prince Rodger books).That aside I really liked this book. It's not full of complicated scientific turms and ideas (or the sci-fi equivalent) so it's more accessible to people of a wider age range.The characters, both human and tree-cats, are well written and the places where the story takes you are easy to imagine. I think if you like animals and the struggle to overcome other peoples backward thinking in a story then this may just be the one for you. I'm certainly looking forward to listening to the second one! Another plus for this book is the narration. The words are clear. The voice quality is not grating to the ears. And Khristine Hvam's interpretation of the book is just right, in my way of thinking. Kudos!! So why, 4.5 and not 5?... because this might be a good read, but not up to Ilona Andrews' standards. Or Carol Berg's Lighthouse dou's category. But still, that does not change the fact that this book is a very good read! Would you listen to A Beautiful Friendship again? Why? Yes because I love being so wrapped up in the story that you feel that you are on the inside watching it as it happens. Yes but work and sleep kept getting in the way ....plus I wanted it to last for as long as I could.